Here at Hall Oil Gas and Electric, we’re happy to help our customers enjoy their homes inside and out! This is why we offer top-quality grilling and patio heating products through our sister company, Breakaway. 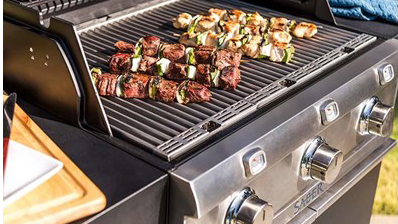 At Breakaway, you can find the perfect grill for your home “bbq master”. We are pleased to offer a range of gas, charcoal, electric, pellet, and portable grills. Heaters from Breakaway are available to help you extend your grilling season! Visit Breakaway online to shop our grill and patio heater selection! Summer on the Cape is all about outdoor living. Why not make the most of the season with an outdoor grill you can use again and again? Hall Oil and Breakaway carry a wide variety of grills to suit every homeowner’s needs. Our gas grills, charcoal grills, pellet grills, electric grills, pellet grills, and portable grills are available in a wide array of sizes, styles, and prices. Whichever you choose, you can always expect the highest level of service and quality from Breakaway. Use patio heaters from Breakaway to make grilling outdoors even more comfortable. 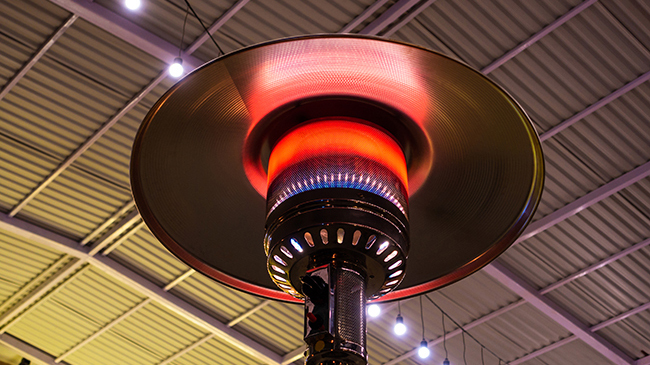 Our gas patio heaters are affordable and easy to use. Simply stop by the Breakaway store in South Dennis or Mashpee to find the right heater for your space. We work with the best distributors in the area, so if you can’t find the product in-store that you’re looking for, we’ll be happy to order it for you! Want to learn more? Give us a call at (508) 398-3831.